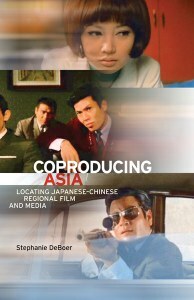 Stephanie DeBoer’s scholarly study Coproducing Asia: Locating Japanese-Chinese Regional Film and Media is not the general overview of Asian co-productions that its title might suggest. Its focus is more on the construction of a new cinematic and televisual idea of “Asia” in the post-war and post-colonial era. It details how forces within the Far East have attempted to overcome national borders and the legacies of conflict to create regional networks independent from Hollywood and the West. Studies of the region’s cinema have tended to focus on directors and films already known in the West, or national industries in isolation from one another. This has created a blind spot where wonderful filmmakers such as Umetsugu Inoue, who directed a string of exuberant studio musicals in Japan before helming 17 films for Shaw in 1960s Hong Kong, have been overlooked. It is a similar story with the Asian Beat films masterminded by Kaizo Hayashi, a neglected figure who himself once caused quite a stir as the director of such titles as To Sleep So as to Dream (1986), Circus Boys (1989) and Zipangu (1990). Each instalment featured Masatoshi Nagase (Mystery Train, Cold Fever) as a Japanese character called Tokio who travels to various Asian locales in search of his parents’ murderers. Each was directed by local filmmakers: Clara Law directed the Hong Kong episode Autumn Moon, Singapore’s Freddy Leow Beng Lee directed Love from Temasek. But Hayashi’s decision to allow the directors to retain their films’ rights meant that while all screened individually at international festivals at the time, they were only presented as a unified series in Japan. None have received a Western release, and only a couple are even acknowledged on the Internet Movie Database. As DeBoer explains, “the dearth of address” of such examples is because they are “often caught in geopolitical concerns or networks of circulation more specifically tied to the East Asia region.” Yes, as you should be able to tell by now, this is an academic book and one has to chew through a lot of theoretical and rhetorical sinew to get to the meat on the bone, which is a slight shame for the casual reader, because there are some real rich pickings here. To summarise, with the resurgence of the Japanese film industry after the departure of the Allied Occupation forces in 1952, Daiei president Masaichi Nagata realised the key to the future lay in tapping into international markets. In the West, this manifested itself with such critically-lauded festival successes as Rashomon (pictured, 1951) and Ugetsu Monogatari (1953). In reality, these classic titles earned relatively little for Daiei on their European and American festival and arthouse runs, and not much more domestically. Clearly, markets closer to home would be more lucrative, especially those already familiar with Japanese culture. The industry originally focused on Taiwan as its primary export market, which, like Korea, was a former Japanese colony where a local audience might be expected to be familiar with its cinema and language. This, needless to say, brought its own problems. While the 1952 Japan-Taiwan Peace Treaty resulted in a set of trade agreements between the two countries, Taiwan’s newly ensconced Kuomintang government soon began imposing stringent quotas on the number of imported Japanese films, and ultimately a boycott on its cultural products as a measure to protect its own Chinese-language film industry and bring the country politically and culturally closer to the PRC. The 1970s hence marked “a decade of zero official imports of Japanese film into Taiwan.” South Korea also placed official restrictions on Japanese cultural products, which persisted right up until the new millennium. Following the establishment of the Asia Film Festival by Nagata and Run Run Shaw in 1953, the focus shifted to Hong Kong. The festival originally had eight member countries, including Taiwan, South Korea, Malaysia, Thailand, the Philippines and Indonesia, although a number of these fell by the wayside over the years. Shaw distributed many Japanese films to markets, such as Singapore, that Japan didn’t have direct access to. I should point out, though, that the distribution arrangement was not reciprocated, as outside of the festival itself, no other Asian films were ever released in Japan during the 1950s. The Japanese industry, nevertheless, had superior film production technology. Shaw sent over many technicians and actors for training at Japan’s studios, and brought a number of Japanese staff over to Hong Kong. The cinematographer Tadashi Nishimoto helped on Shaw’s first colour production, Love with an Alien (1958), an intercultural romance between a Hong Kong woman and Korean man. He also introduced the Tohoscope widescreen system to Shaw, which the studio subsequently rebranded as Shawscope. A number of co-productions ensued. DeBoer focusses on Night in Hong Kong (1961) and Star of Hong Kong (1962), Night in Bangkok (1966) and Asia-Pol (pictured, 1967), the first three co-productions with Toho all directed by Yasuki Chiba, the last with Nikkatsu and directed by Akinori Matsuo. 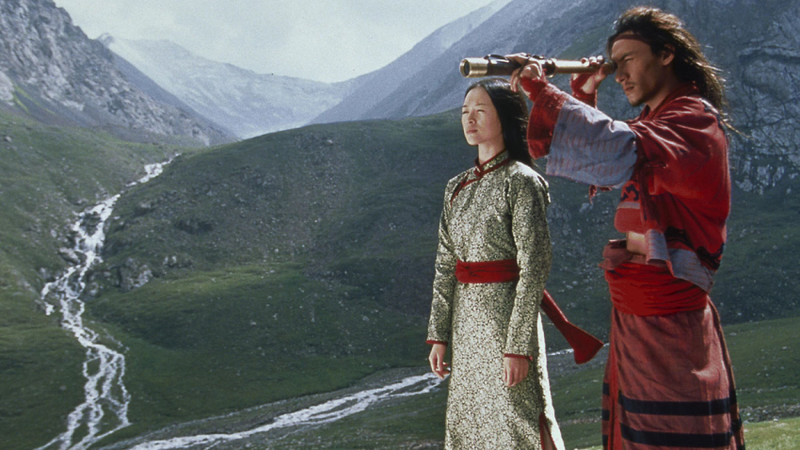 The appointment of Japanese directors points towards the balance of power in such collaborations; these can in many ways be seen as Japanese films taking place in a variety of Asian settings, typically featuring a Japanese male lead falling in love with a Chinese woman. Television, ironically, was the key to the Japanese film industry’s decline after 1953. There was much consternation among film people that the new medium received substantial financial support from the government. Television production is by its nature a local industry, the programmes intended primarily for domestic consumption. However, the TV sets, manufactured by companies such as Sony, were a huge export business, especially to neighbouring Asian countries. Shaw is now better known in the West for its historical and martial arts films, creating its own self-orientalising picture of “Chineseness” that was to supplant Japanese cinema among Western audiences with a taste for exoticism. 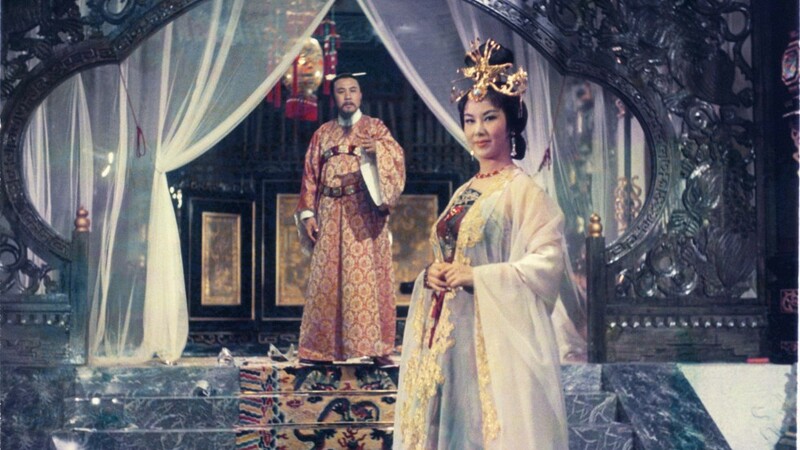 Its first widescreen colour work, The Magnificent Concubine (1962) won the Grand Prix for Best Interior Photography and Colour at Cannes, echoing the success of Nagata’s production Gate of Hell (1953) at the same festival barely a decade earlier. 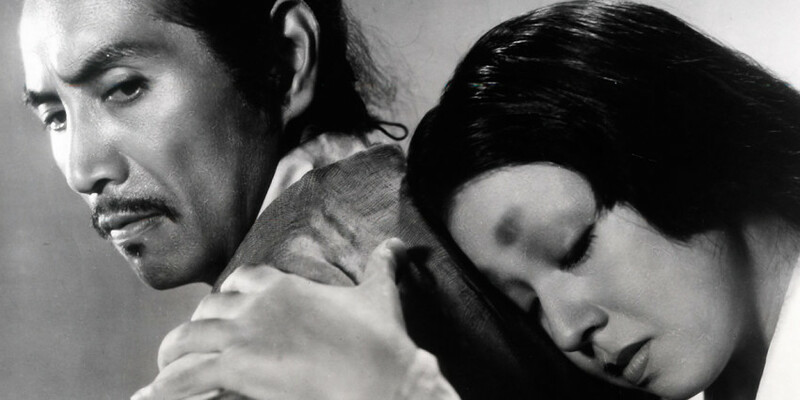 The irony is that it was based on the same source as Nagata’s first Shaw co-production and Kenji Mizoguchi’s first colour film, Princess Yang Kwei-Fei (1955), which was set in eighth century China, thereby removing any trace of “Japaneseness” among international audiences still harbouring resentment towards the wartime aggressor. 1972 saw the realignment of official relations between Japan and China, a market strictly off-limits to the Japanese film industry, followed by the 1978 Sino-Japan Peace and Friendship treaty. This led to the ground-breaking NHK-CCTV documentary series The Silk Road (1980). The production was further facilitated by new NHK technology that allowed footage to be sent electronically via satellite links for editing in Japan. The series’ presentation of a China long closed off to foreign eyes harked back to a pre-imperial past to look at how Japan had been influenced by other cultures along the Silk Road. Nevertheless, some degree of friction emerged during the production, with criticism from the Chinese that the NHK cameramen’s emphasis on the “old”, the “backward” and the “timeless” aspects of the landscapes and their communities adopted the same orientalising approach that had long been a fixture of Western depictions of Asia. Two versions were prepared, the Chinese edit replacing the recurrent images of the setting sun in the NHK one with that of a rising sun to emphasise a post-Cultural Revolution embrace of the future. Needless to say, it was the NHK version that was broadcast in 38 different countries across Europe and Asia. The episode is indicative of the issues of power relationships between different media production centres within the region, which DeBoer elaborates in much more detail throughout the text, through to further examples from the 1990s. While a little heavy-going in places, Coproducing Asia provides an enlightening account of how “Asia” has been presented to the world not through the usual West-East binary, but how various interests in the region have worked to present an image of “Asia” to themselves and project it globally.